Rockwell Corporation (Pvt) Limited (RCL) with its head office at Lahore, is a private limited enterprise chartered by the Government of Pakistan under the Companies Act 1913. The Company’s head office is located at 9-T, Gulberg-II, Lahore. The firm in the name of Rockwell Corporation was established and registered as an Engineering Company in 1967, which was converted into Limited Company in January 1978. 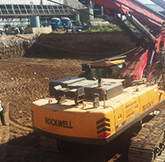 "Rockwell Corporation Also Specialize In Fields Of Pressure Grouting,soil Investigations & Pile Head Cutting. Having Latest Techniques And Equipment." 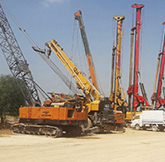 RCL has a big team of professionally qualified and highly experienced Engineers, Geologists, specialized Technicians and other Supervisory & Technical staff. With highly disciplined skills of its well-knit professional team, the efficient and timely completion of Engineering Projects are assured. 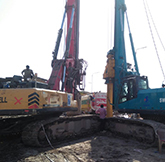 RCL is financially stable and fully able to meet its commitments and discharge its responsibilities in the field of Civil Engineering Projects, not only in Pakistan but also in fraternal countries of SAARC, RCD, MIDDLE EAST and AMERICA. 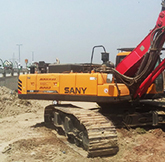 RCL stand by their proud record as approved contractors in the top category for execution of major engineering works in Pakistan by devoting their technical and professional skills. RCL is prequalified with Pakistan Engineering Council, Government of Pakistan, in the fields of Civil, Mechanical and Tele-communications, Installation and External Works. RCL in collaboration with the renowned consultants many projects of magnitude in the field of Irrigation, Small Dams, Water Supply, Drainage and Flood Control had been successfully completed during the last 50+ years. © Rockwell Group. All rights reserved.